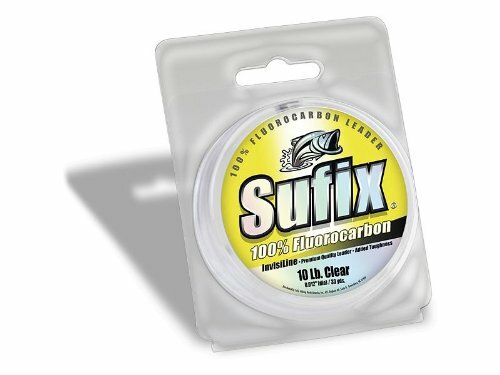 Sufix 100-Percent Fluorocarbon InvisilineLeaders has ultra-low visibility and superior strength and handling. Crystal clear 100-Percent fluorocarbon leader that is virtually invisible in water. with incredible shock absorption, high tensile and knot strength and superior abrasion resistance.